It’s been more than 12 years since ISS began providing its residential customers with the very best quality of service across the visual, audio and home networking sectors of its business. ISS have Part P electrically qualified engineers which means you can be safe in the knowledge that any work undertaken will be finished to the very highest of safety standards. 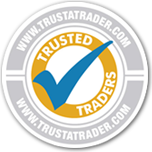 ISS’s positive customer feedback reinforces the company’s vision of always putting the needs of its customers first – an average score of 9.9/10 on checkatrade.com and over 1300 reviews and also over 1700 reviews on trustatrader.com with an average of 4.9/5. While television standards may have brought about a revolution in the number of television stations that can now be accessed from the home, this unfortunately has not stopped a range of technical problems that used to be present in the previous technology. Digital televisions are not free from problems which may stem from a poor aerial connection right the way down to the configuration of the television itself. If you don't have a perfect television image, then ISS can provide a verification that all the elements of the reception process are working correctly, from the aerial on the roof, right the way down to the televisions configuration settings. Irrespective of the television you have in your house - whether an LCD, LED, Plasma or any other type of 3D flat screen television - our skill at transforming a mass of wires into an invisible feature is renowned. From standard wall-mounting solutions for flat wall fittings, right the way across to swivel mounts, ISS engineers have the skills and know-how to install all the different types. From small 19" televisions right the way up to 70" monsters, you can rest easy knowing that when you use ISS, mounting your TV to the wall will be installed by an experienced engineer and fastened securely to the very highest of standards, and there will be no loose why to trip over or spoil your new visual experience. It doesn't matter if it's sky digital, sky plus, sky plus hd, sky 3d or freesat, the simple fact is that there are a great many more choices available to those residential subscribers of satellite television services. However, if you don’t have the height to install the satellite dish, then you may have been told that you are not able to watch the satellite channels on offer. In fact ISS is able to provide you with alternative satellite solutions that remove some of the requirements that the major providers stipulate. This means that our customers are able to watch all the channels that they wish. It doesn't matter what you tastes are in brand names - Yamaha, Sony, Bose of Kef - , right the way up to leading industry systems, we have the expertise to transform your living room or dedicated space into a fully fledged AV home cinema experience to rival that of IMAX! It doesn't matter if you have a simple stereo and want to upgrade to 5.1, the ISS team can provide a one-stop shop for all your AV needs - even concealing the wires surround sound systems invariably produce. Our experience in the sector means that our installation service also extends to providing you with helpful advice so that when you are left alone with your new system, you’ll know exactly how to get the most out it. With new techology becoming even more connectable from one device to another around the house, getting your Iphone, Ipad, or other Android portable device to connect with your wireless network is not as straightforward as it might at first appear. Equally getting your Xbox to connect to your home network is not such a straightforward operation if you are not technically skilled with IP and MAC addresses. Our home networking engineers are available on call-out to help resolve home connectivity problems and make all the devices that you and other family members use, work harmoniously together. ISS has experience in resolving problems found on networks from BT right the way through to Virgin, and has also been able to increase navigation speeds by identifying problems on customers home computers as well. Call 0800 135 7916 to be put in touch with the office nearest to you. The above list of services are shown to provide a sample of the types of services that our team of engineers can respond to. ISS Electrical knows that customers sometimes wish to have a completely bespoke solution in their house, and with over 12 years in the business, the ISS engineers have the necessary experience to help realize these experiences in practice.